Below you will find many resources which can be used to help promote Boys’ Brigade in your local area. Recruitment badges are a great way to get young people engaged in the recruitment process. These can be awarded to young people who bring friends along to Boys’ Brigade. There are three awards to gain – Bronze (1 friend), Silver (3 friends) and Gold (5 friends). These badges are currently available free of charge from Joe Harrison (Development Worker). Download the Recruitment Badge wall of fame here. 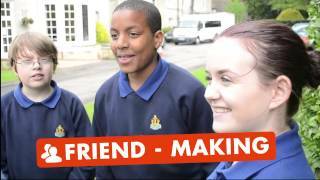 The Boys’ Brigade have produced some videos to help companies promote Boys’ Brigade in their local communities. These video can be found below.